I saw this book on a shelf last month, and bought it. (Note: I haven’t read it yet, this is not a review or recommendation) I have never heard of the book, or the author. I didn’t even flip to the back cover to see what it was about. The title got me. As it turns out, the book is a fictional account of a guy growing up in a tiny cotton-farming community near a place where I lived many years. The references to towns, schools, roads, are places I have traveled. I went to high school a couple towns over, went to college a couple counties over, came back and worked and gave birth to my sons. I’m sort of from there. The same thing with Jenny Lawson‘s (aka The Bloggess) book Let’s Pretend This Never Happened. I’ve frequently been through her hometown. It’s in my circle, it’s part of my culture. It is a patch in the quilt of vacations, swimming holes, high school football. She’s also from where I am from. I think. Unless you have grown up in a big city, you probably don’t read about your little home town as settings in books. But it made me think: Where am I really from? My dad was in the Air Force, we lived in four different states, and I never attended a school for more than two years, until I got to college. I lived in one house for eleven years, and seven of those were after my husband left us for his younger secretary, so it felt like two different homes. That’s my record. Four plus seven in one house. Five years in one other house. I’m approaching five years in my current home, but I’m an empty nester so in many ways it doesn’t feel like home, but is a place I live. A wonderfully pleasant place, true, but not home. So where am I from? I went to high school and a year of college in the town my parents now live in, and coincidentally, after college I returned because that’s where the second highest paying job was (the highest paying one being in elsewhere, where my husband refused to move. The only offer he received was in our high-school-where-we-met town). I lived in that town…let’s see…15 years all together, in two different shirts. My sons were born there. My parents live there now. But I wasn’t born there. I don’t have life-long friends I went to school with for 12 years, like a huge number of my classmates did. I see on Facebook that they still get together. They’ve known each other 50 years! I think of my university as a home spot, even though at the time I couldn’t wait to get finished. I just texted my sons and asked them where they are from. Or, where do they tell people they are from. One of them told me that he generally responds with the name of the town we lived in for 12 years, where he went to high school. The other son was more vague, telling people his home state (if he’s away), or his current location even though he’s only been there for two years. They have a sense of “home” but it’s not tied to a building in a particular town. 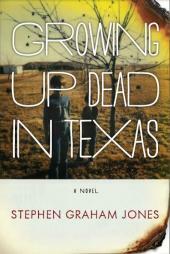 PS: Since I first composed this blog post, I read a few pages of the “Growing Up Dead” book. I recognize the locations, but I’m not sure I can get through the author’s writing style. I’m withholding judgement for another chapter. ‹ The Guns of Navarone, the Musical!